Length: 2 hrs. 10 min. 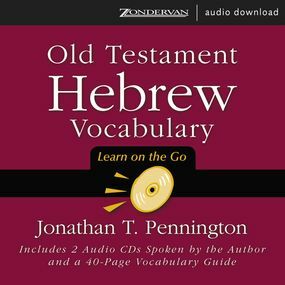 This audio product enable a person who is taking biblical Hebrew to work on, by ear as well as through the eyes, all vocabulary words that occur in the Old Testament 20 times or more and all the names of people in the Old Testament that occur 100 times or more. Read by Jonathan T. Pennington.